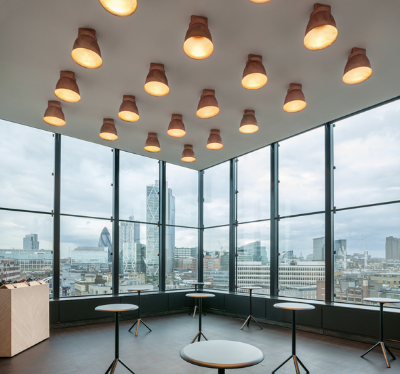 FundApps hosted our first Annual Client Conference on Tuesday, October 13th at the ACE Hotel on London’s trendy Shoreditch High Street. This proved to be a very successful event and enjoyed by clients from Europe and the US, and by the entire FundApps team. We had presentations from members of the FundApps team, as well as an enlightening presentation from Allen & Overy on the Transparency Directive Amending Directive. To begin, Andrew took us on a journey through time and showed us how FundApps got to where we are today, what we have achieved over the past year, and what is to come. Ebbe gave us some key insight on our secret sauce- our processes and workflows, and explored how our team collaborates with our clients and Allen & Overy to ensure we are delivering amazing software and providing outstanding customer support. Iago shared with us his love of data, the analysis he conducts on various Rapptr data sets, and how we can use this anonymised aggregated data to gain actionable insights. Faye Sutherland and Claire Farley lead an informative discussion about the intricacies on how the definition of “economic interests” will be of vital importance with the upcoming TD2 changes. Finally, our clients engaged in a Q&A panel discussion lead by our moderator extraordinaire, Dave, with James, our CTO in charge of all things tech, Karl, our compliance guru, and Claire and Faye, our partners at Allen & Overy discussing a wide range of topics. We ended the afternoon off with refreshing drinks at the Lobby Bar where the topic of conversation ranged from BaFin to Bollywood. Thanks to all who attended, we look forward to another great event next year, with hopefully not as stressful of a regulatory deadline looming.